Providing art supplies in Geelong and Melbourne: Artworx located in Victoria, Australia prides itself on offering an incredible range of art supplies to meet your creative needs. This includes the popular and highly versatile acetate. In truth, the limit of what you can do with acetate is your imagination. Acetate is a popular art supply for digital and graphic art, traditional printmaking (drypoint etching and screen printing), stencilling (airbrushing and spray paint), book binding (covers and interleaves in handmade journals or photo albums) or even architects use it (model making). It is a very, very versatile art supply. 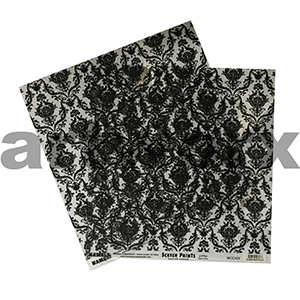 We stock a range of acetate sheets in various sizes from 610X850mm, a2, a3 and a4. A4 is stocked in thin 100mic along with A3, A2 and 610x850mm and thick 175mic. Both works exceptionally well for all applications but the 175mic is slightly more rigid as it is a thicker sheet of acetate. 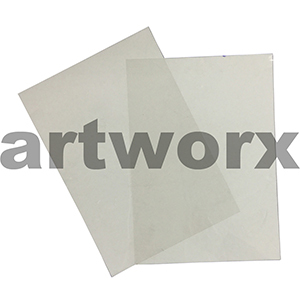 Our ranges of acetate sheets are a quality art supply product and are crystal clear. If you are looking to screen print with your acetate, Derivan, Hydrotex and Permaset printing inks work exceptionally well. Other products that go hand in hand with acetate sheets are cutting mats, scalpels, and cutting knives. We can even print on the acetate for you, just send us your PDFs. We understand that your next great artistic work is dependent on having quality materials that will go the extra distance. That is why we carefully stock only the best acetate sheets and tools. Buy acetate with confidence, consider signing up for our VIP artist membership and get even better discounts through our store as well as online purchases on all of the art materials you need. You can also contact us directly with specific requests if there is something you need not advertised and we will work with you to meet that need. Tip: Acetate makes a great presentation cover for assignments, you can print on it and easily have it spiral bound.